Werribee is a suburb of Melbourne, Victoria, Australia, 32 km south-west of Melbourne's Central Business District, located within the City of Wyndham local government area. 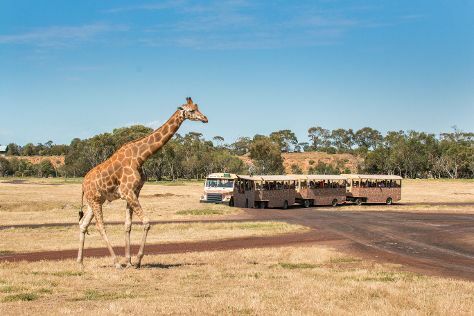 Start off your visit on the 26th (Sun): see the interesting displays at Scienceworks, learn about wildlife with up-close encounters at Werribee Open Range Zoo, and then steep yourself in history at Point Cook Homestead. To find where to stay, photos, traveler tips, and tourist information, use the Werribee trip builder tool . Melbourne to Werribee is an approximately half hour car ride. You can also take a train; or take a bus. Expect a daytime high around 20°C in May, and nighttime lows around 9°C. Finish your sightseeing early on the 27th (Mon) to allow enough time to travel to Lakes Entrance. Lakes Entrance is a seaside resort and fishing port in eastern Victoria, Australia. Explore Lakes Entrance's surroundings by going to Buchan Caves (in Buchan), Bairnsdale (St Mary's Catholic Church, East Gippsland Rail Trail, & more) and Raymond Island (in Paynesville). The adventure continues: try for a hole-in-one at Footbridge Mini Golf, Icecream & Lolly Shop and stroll around Nyerimilang Heritage Park. To find other places to visit, photos, reviews, and more tourist information, refer to the Lakes Entrance trip planner . You can drive from Werribee to Lakes Entrance in 4.5 hours. May in Lakes Entrance sees daily highs of 20°C and lows of 7°C at night. Cap off your sightseeing on the 30th (Thu) early enough to travel to Wollongong. Wollongong, informally referred to as "The Gong", is a seaside city located in the Illawarra region of New South Wales, Australia. 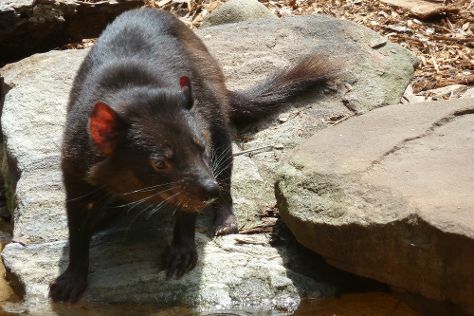 Start off your visit on the 30th (Thu): visit a coastal fixture at Wollongong Head Lighthouse and then get to know the resident critters at Symbio Wildlife Park. Keep things going the next day: look for gifts at Stockland Shellharbour, then take in the dramatic natural features at Kiama Blowhole, and then kick back and relax at Hyams Beach. To find where to stay, more things to do, photos, and other tourist information, use the Wollongong holiday builder website . You can drive from Lakes Entrance to Wollongong in 7.5 hours. Expect a bit warmer weather when traveling from Lakes Entrance in May: highs in Wollongong hover around 24°C, while lows dip to 7°C. On the 1st (Sat), wrap the sightseeing up by early afternoon so you can drive to Sydney. Kick off your visit on the 1st (Sat): get up close and personal with brilliant marine life at Sea Life Sydney Aquarium. On the 2nd (Sun), you'll have a packed day of sightseeing: admire the natural beauty at Royal Botanic Garden Sydney, tour the pleasant surroundings at Bondi Beach, then don't miss a visit to Sydney Harbour Bridge, and finally see a show at Sydney Opera House. 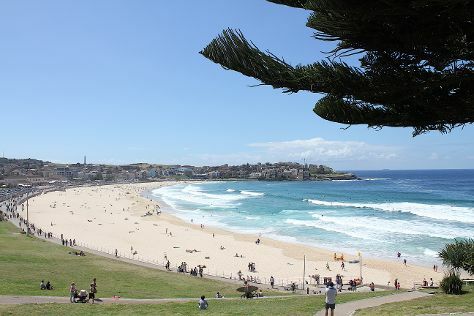 To find ratings, more things to do, reviews, and tourist information, you can read our Sydney online trip itinerary maker . Traveling by car from Wollongong to Sydney takes 1.5 hours. Alternatively, you can take a train; or take a bus. Plan for a bit warmer nights when traveling from Wollongong in June since evenings lows in Sydney dip to 11°C. Wrap up your sightseeing on the 4th (Tue) early enough to travel to Albury. Albury, a major regional city in New South Wales, Australia, is located on the Hume Highway and the northern side of the Murray River. Start off your visit on the 4th (Tue): take an in-depth tour of Beechworth Historic Courthouse and then take in the dramatic scenery at Woolshed Waterfalls. Get ready for a full day of sightseeing on the next day: explore the engaging exhibits at MAMA - Murray Art Museum Albury, then explore the activities along Lake Hume, then pause for some photo ops at Monument Hill, and finally admire the natural beauty at Albury Botanic Garden. Find out how to plan Albury trip without stress by asking Inspirock to help create an itinerary. Fly from Sydney to Albury in 3 hours. Alternatively, you can drive; or take a bus. Expect slightly colder temperatures when traveling from Sydney in June; daily highs in Albury reach 15°C and lows reach 3°C. Finish your sightseeing early on the 6th (Thu) to allow enough time to travel to Melbourne. Your day-by-day itinerary now includes Melbourne Central. Start off your visit on the 27th (Mon): take in panoramic vistas at Eureka Skydeck 88, then take in nature's colorful creations at Royal Botanic Gardens, then take a stroll through Melbourne Central, and finally make a trip to Flinders Street Station. Get ready for a full day of sightseeing on the next day: see the interesting displays at Melbourne Museum, take in nature's colorful creations at Melbourne Zoo, and then admire the natural beauty at Fitzroy Gardens. To find reviews, ratings, more things to do, and other tourist information, use the Melbourne planner . Melbourne is just a stone's throw from Werribee. Expect a daytime high around 20°C in May, and nighttime lows around 9°C. Wrap up your sightseeing on the 29th (Wed) early enough to travel to Lakes Entrance.